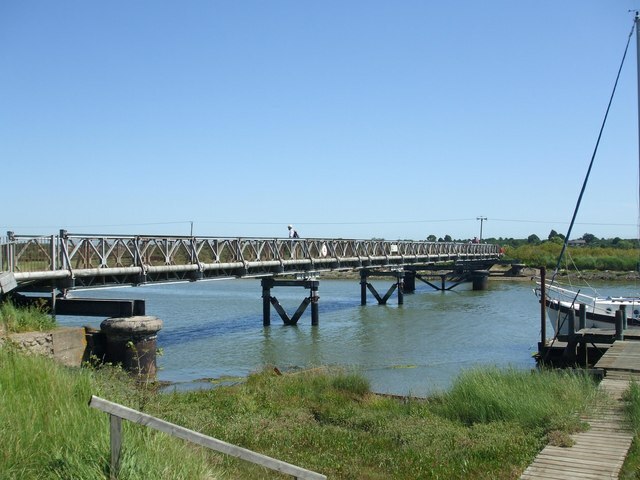 The former swingbridge of the Southwold Railway, the bridge was widened when the railway company wanted to relay as standard gauge, this never materialised and the Southwold railways is a dearly missed 3ft railway (closed 1929). The swing bridge would have had a large stone round base where the two modern supports are now, the whole bridge was destroyed in WW2 as an invasion deterrent. This page has been viewed about 1275 times.